Found 8 file extension associations related to Adobe ColdFusion Builder for Mac and 3 file formats developed specifically for use with Adobe ColdFusion Builder for Mac. Adobe ColdFusion Builder software is a highly customizable, Eclipse based IDE that enables developers to build ColdFusion applications faster than ever before. It also allows them to save time by managing the entire ColdFusion development cycle from concept to production with one easy-to-use tool. 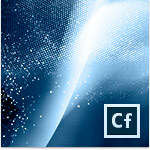 Adobe ColdFusion Builder software is the only professional IDE for quickly and easily building ColdFusion applications. Customize your development environment to improve workflow, and easily expand functionality with extensions built with CFML. Also available for Mac, either in standalone version or as part of ColdFusion 10 Enterprise. If you need more information please contact the developers of Adobe ColdFusion Builder for Mac (Adobe Systems Incorporated), or check out their product website.